Please contact the Specialist Mechanical Workshop for servicing and repair of ALL your manual wheelchairs and portering chairs. It is recommended that all wheelchairs are serviced annually. 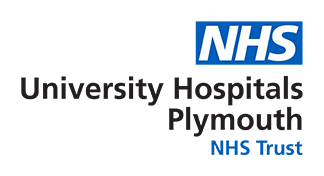 Wheelchairs and portering chairs can also be fitted with an RFID tracking device on request which will enable the owner to locate the chair within the main Derriford Hospital building. If you own, use or issue manual wheelchairs and/or portering chairs please read through the following paragraphs. Please ask and include the Workshop when selecting a wheelchair (including donations of wheelchairs) as we are trying to standardise the make and models within The Trust to enable us to streamline the number of spares and reduce costs. This in turn helps give a faster turnaround time and more efficient service. For a general user guide please read our wheelchair leaflet. For general use, manual wheelchairs offered by R Healthcare (previously REMPLOY) and INVACARE should be considered. For portering chairs please consider BristolMaid (Hospital Metalcraft) and Stryker. BristolMaid portering chairs are available as either front steer or rear steer. Patients report that they prefer front steer models as they do not like being "pulled backwards". Front steer models are fitted with individual footplates whilst rear steer have a sliding singular treadplate.